So, I myself love to use layers on all of my pages whether it's a clean and simple look, or messy mixed media kind of thing..........they're a fairly easy way of adding depth and interest to your layout. For this months challenge I decided to push myself further and get creative with my layers. As you can hopefully see, I got and oversized 8"x12" photograph developed at Costco and layered it behind a mask I cut using my Silhouette. 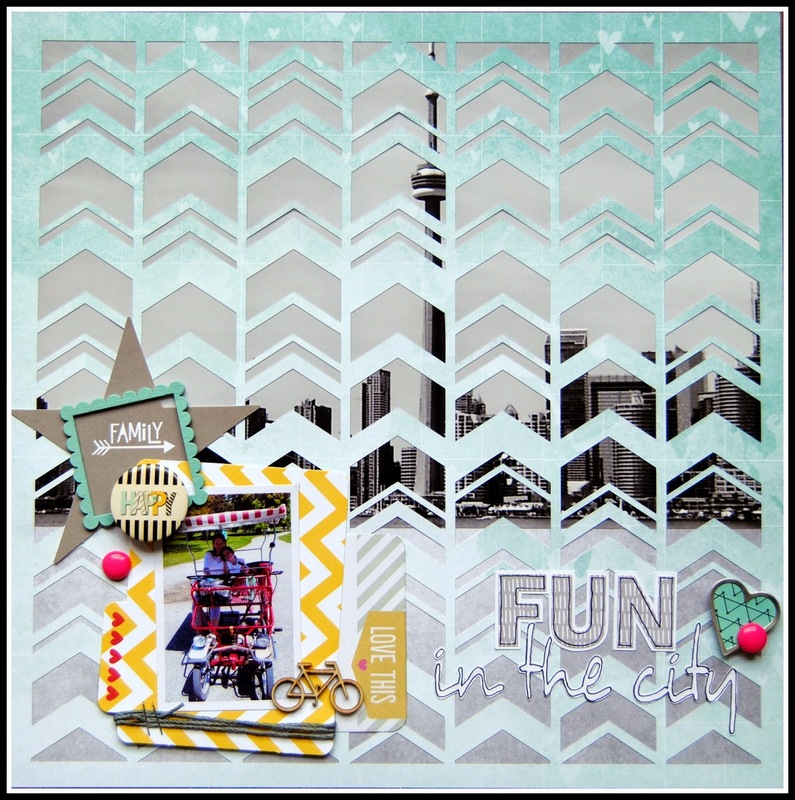 It provides a funky little backdrop and is the perfect accompaniment to my smaller photo, as this is the view of Toronto's cityscape from where we had our fun day out on the Islands. 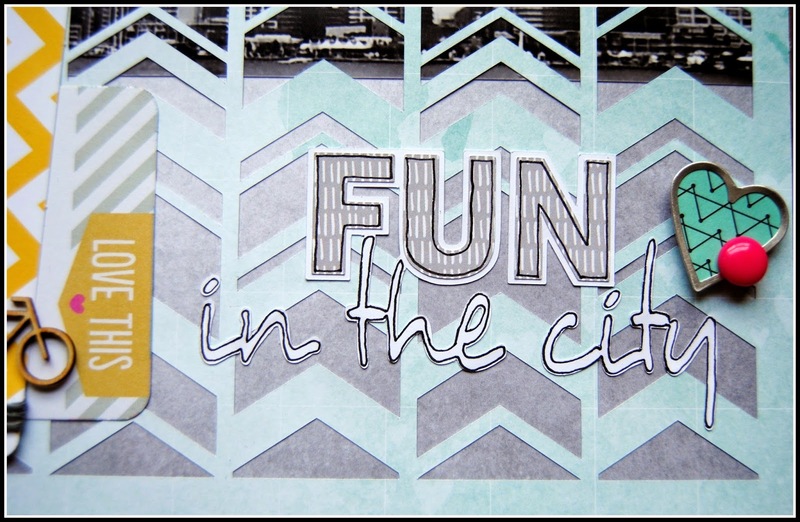 And finished things with a title, again cut using the Silhouette.......I couldn't resist a hand doodled outline! That's it from me but we encourage you to check out each designer's creation this month: here's a complete list of this month's participating designers! Hockey Doodle you really HAVE stretched into amazing territory here. That overlay is powerful and really adds to your design. Powerful! !!!!!' So smart!!! Fantastic solution to the challenge- that photo is so iconic it's perfect for this kind of fun treatment. Love how you added a pop of color in the bottom- this is wonderful! SWOON!! 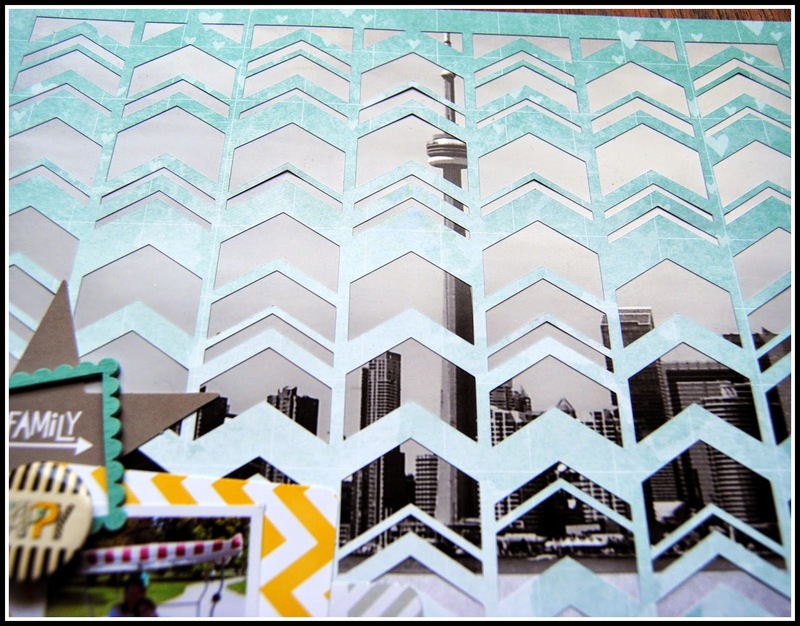 Count on you to think outside of the box with your layers - I love the huge photo peeking through your diecut paper - so amazingly clever!! You always amaze! that is such a cool overlay for the photo!!!! such a cool idea, LOVE how your page turned out!!!! What a brilliant idea to take that large photo and add the cut file on top of it! Awesome page! 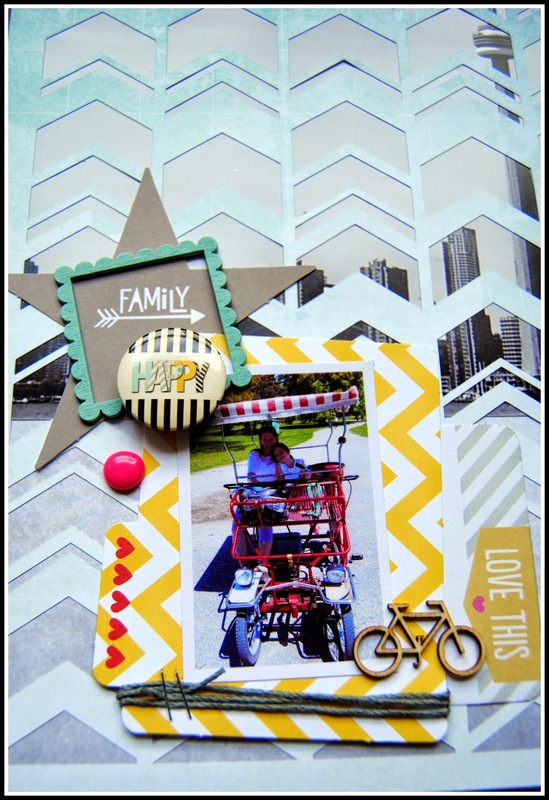 Another simply amazing layout! Love the huge B&W behind the cut file and the inset colour photo. So loving what you've been creating! Just awesome!